Our first collection of lyric poetry has released at last, and is now available at your favourite ebook vendor. Enter a world of brave soldiers and valueless killers. Experience the consolation of those who grieve, but also the fruit of love. Examine many human qualities, and those of nature too: view the humor, the pathos, and the pain. 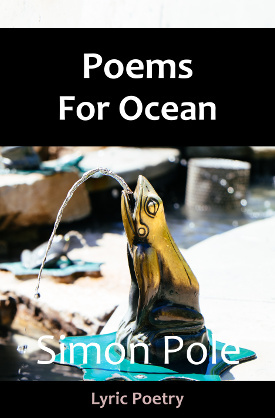 This is the poetry of Poems For Ocean, a bold collection, told in traditional rhyming verse of many syllables and forms, by Simon Pole, author of The Saga of Terminal City.